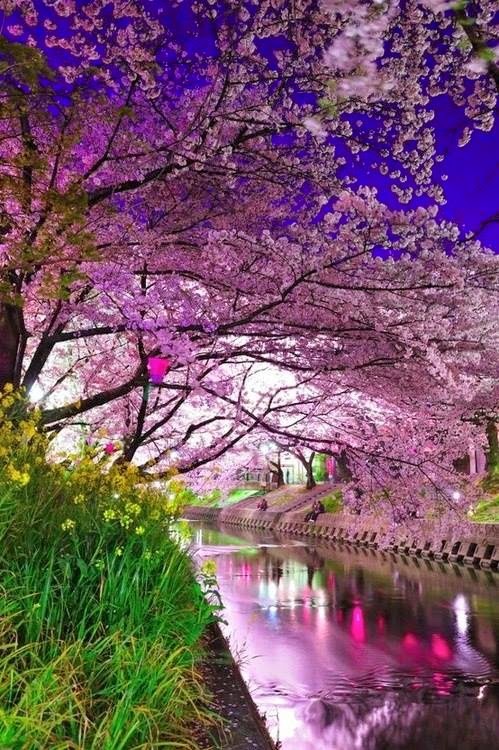 The cherry blossoms, called sakura in Japanese, bloom at a time when there are lots of new beginnings. Of course it’s the start of new life in the land. But in Japan, it’s also the start of the new school year, it’s when college graduates start new jobs and it’s also the start of the new fiscal year for Japanese businesses. Sakura, Sakura is a traditional Japanese folk song depicting spring, the season of cherry blossom. The pentatonic (five-note) scale that is most familiar to us is derived from steps 1, 2, 3, 5 and 6 of the major scale. Melodies like Oh, Susanna and Weevily Wheat are based on this scale. Sakura, Sakura is based on a distinctive pentatonic scale that includes half steps between some of the notes. Sakura, Sakura, blossoms waving everywhere. Clouds of glory fill the sky. Blossoms waving in the breeze.